Two months after the Defense Department opened combat jobs to women, a House panel has voted to also require women to register for the draft. The measure will be debated by Congress in the fall, in what promises to be a very calm and wholly rational continued discussion about the role of women in the military. “Right now the draft is sexist,” said Rep. Duncan Hunter (R-Calif.), who filed an amendment to the House’s annual defense authorization bill to require women between the ages of 18 and 26 to register for the Selective Service, the government agency that keeps records of who is eligible to be conscripted. Hunter, who is against the Obama administration’s recent policy change allowing women to serve in all combat roles, said he only proposed the measure to start a discussion about the draft. He voted against his own amendment, arguing that anyone who favored it would be siding with the administration. Hunter’s curious tactic failed when the Armed Services Committee approved the measure 32-30. The full House is expected to vote on the broader defense authorization bill in May; it’ll then have to pass the Senate. 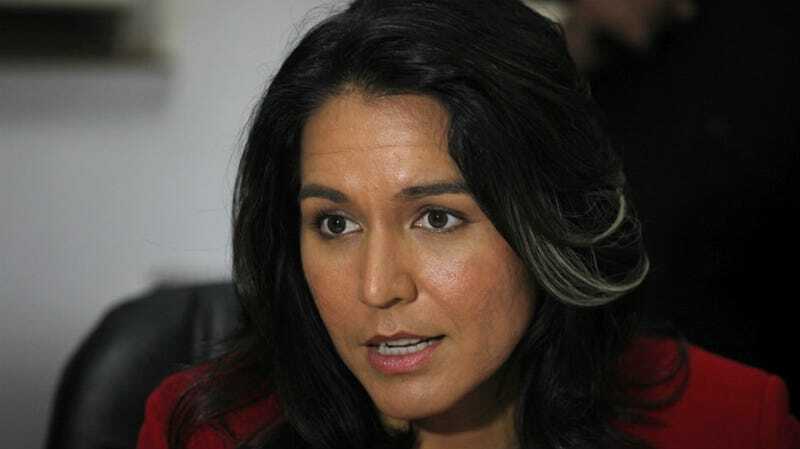 Rep. Tulsi Gabbard. Image via AP.